Client had a portal that did not have meaningful or industry standard dashboards. The Client provides an artificial intelligence (AI) platform that matches corporate executives with institutional investors most likely to buy or sell their stock in the next 90 days. Simultaneously, the system offers users data discovery technologies to prepare for corporate-investor access events. The Client had a portal that did not have meaningful or industry standard dashboards. This prompted the Client to reach out to Data-Core Systems. 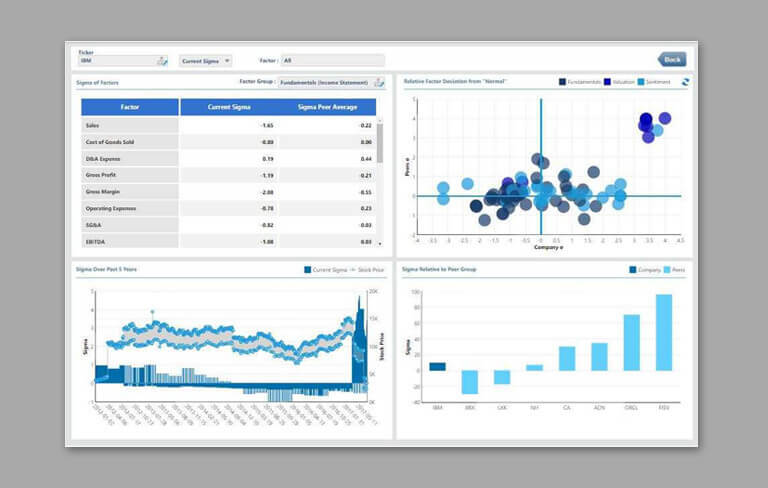 Data-Core provided interactive and integrated dashboards that quickly identify themes, trends and outlier data to help investors and corporates efficiently prepare for meetings. The easy to use analytics allow them to immediately compare fundamental, valuation and sentiment factors relative to peers. They can also identify characteristics of investors that are most predictive in signaling they are likely incremental buyers, as well as those characteristics that suggest an investor is at risk of reducing their position. What analytical information do the Dundas dashboards present? 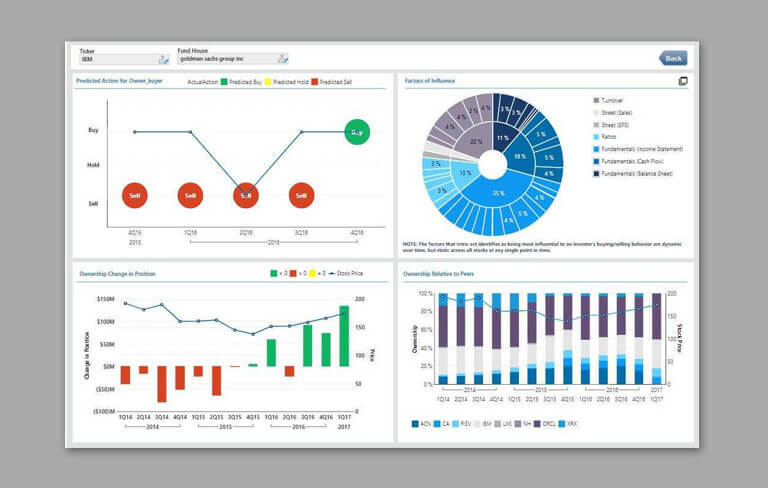 Investor dashboards provide at-a-glance views of KPIs relevant to a particular company or industry. 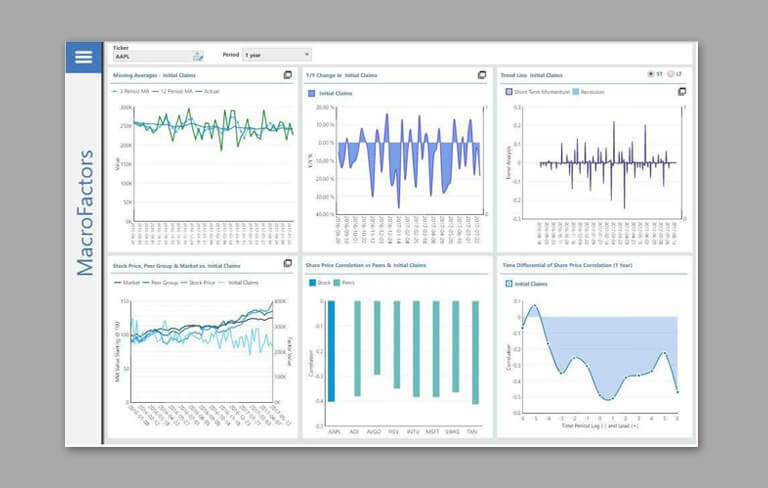 In real-world terms, “dashboard” is another name for “progress report” or “report”, but uses technology to assist in data discovery that is customizable by the user. 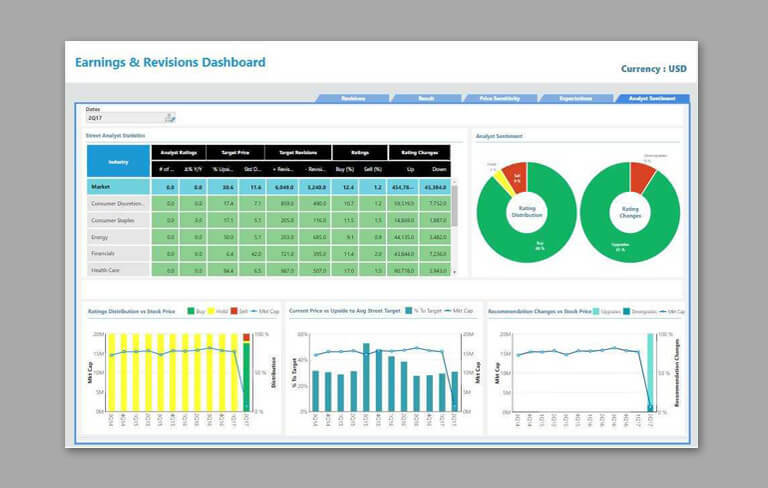 Data-Core’s simple yet meaningful dashboards were a huge satisfaction to the Client. The project then got promoted to one of the most complicated Dundas BI dashboards in the industry, followed by data migration from MySQL to Data Warehouse and stepping towards Machine Learning. Data-Core’s Machine Learning Analytics perfectly complements the services that help corporate executives position themselves in meetings to achieve optimal outcomes. Even though it’s at its nascent stage, Data-Core’s Machine Learning has an accuracy level being reached that is breaking industry standards.